Do chocolates, roses, and cheesy cards come to mind when you think about Valentine's Day? While it's a wonderful time to shower others with love, it's also important to practice self care by loving and pampering yourself too. The love that's in the air is not only meant for others, it's meant for you too. This post contains affiliate links. We will earn a commission if you make a purchase at no extra cost to you. I love spending time with my husband and my kids and showing them how much they mean to me. I also love the rise of Galentine's Day celebrations, because good girlfriends are a treasure. But we have to make sure our own cup is full too. When we love ourselves, we have more love to give to our family and friends. Now, you don't have to do anything extravagant, but I want to encourage you to carve out time that is just for you this Valentine's Day. 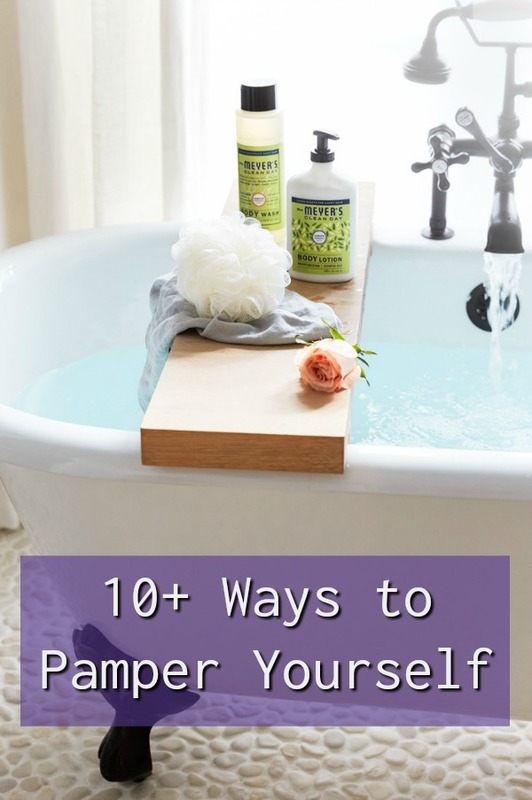 Here are a few ideas on how to pamper yourself. I know, I know, I like to sleep too, but hear me out. Wake up earlier so you can take your time getting ready. Enjoy the peace and quiet while the rest of the house sleeps. Use that time to meditate, write in your journal, and go grab a latte. Or ignore me and sleep in! Schedule that massage or get a facial. Heck, get both! Want to create your own affordable spa day at home with a bubble bath or a long steamy shower? If you’re an existing customer, you’ll receive a free Grove lip balm — perfect for soothing chapped lips! Dry winter air is particularly hard on your skin. Mrs. Meyer’s body wash is made with aloe vera so it’s super nourishing, and the scents smell like a spring garden. 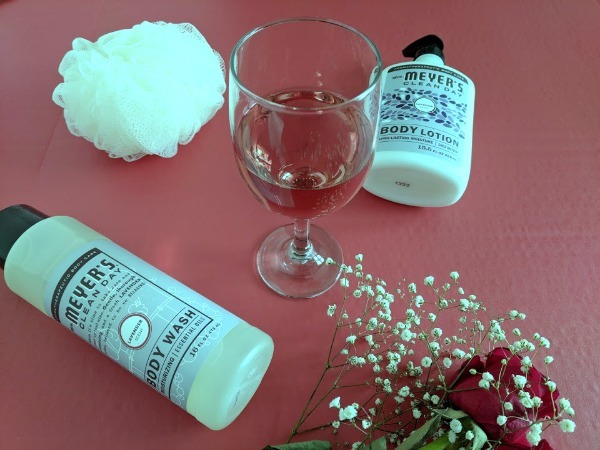 Mrs. Meyer’s body wash is even better with this Grove loofah. You only need a little dollop of soap on the soft mesh to create a rich lather. It’s great for exfoliating and increasing circulation to leave your skin smooth and glowy. 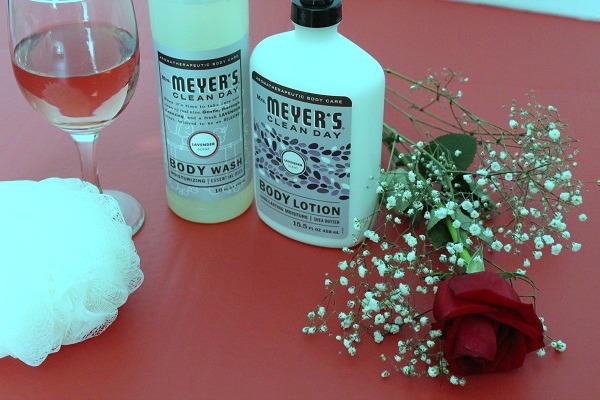 After a shower, I love using Mrs. Meyer’s body lotion. It sinks in quickly, and hydrates without feeling greasy or heavy. This has earned a permanent spot on my bathroom counter next to my Mrs. Meyer’s hand lotion! My favorite scent is lavendar. Grove Collaborative has become my go-to for healthy, beautiful personal care products. After you place your first order, Grove will remember the products you love and even recommend a shipment schedule so you don’t run out. You can add or remove items from your cart or change your shipment date, and they’ll deliver everything (carbon offset) to your doorstep, on your schedule. They’ll even suggest products you might like, which is how I’ve discovered some new favorites! You’ll get all those products + Mrs. Meyer’s body wash and body lotion + Grove loofah for around $20! Plus, you’ll get free shipping and a free 60 day VIP trial. Grove really pampers their VIPs, from free shipping to free gifts, price matching, exclusive sales, and personal service. This offer is only available until February 18, so don’t miss out! Sign up for Grove Collaborative here! Add in a soft fluffy robe or fuzzy socks and it's the perfect gift to yourself! Get your hair done. You can get a hair cut, refresh your color, or simply get a blow out. Chocolate. It's completely fine to treat yourself to chocolate that you don't intend to share. Buy yourself flowers. They are a great pick-me-up, especially during winter. Do something creative: paint, knit, wander the craft store. Splurge on something! A new outfit, a new pair of shoes, a new purse, jewelry, perfume, or makeup. If you are geeky like me, get a new game you've been wanting to play! I hope these ways to pamper yourself inspire you to do something special for yourself this Valentine's Day. Remember, self care and self love are just as important as showing others that you care for them.